Fives Landis Ltd. has secured a prestigious order from China State Shipbuilding Corporation for the supply of a Landis LT3e machine to grind main bearings and crankpins on large marine diesel crankshafts up to 4500mm in length. The machine will produce crankshafts for engines used to power commercial and military ships and will be installed in CSSC's Anqing factory, Anhui province. 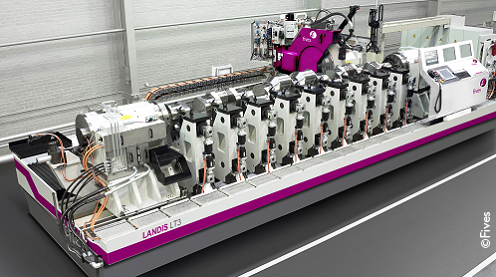 The Landis LT3e is the largest machine model in the Landis range and sets the benchmark in the market, being capable of grinding all features, diameters, faces, etc. on large crankshafts, including orbitally grinding crankpins in excess of 200mm in diameter to micron levels of form and size accuracy.